The Lagos State Government has recovered N13 million paid into accounts of dead colleagues and overpaid salaries of staff in its ministries and parastatals. This is just as it had demolished 12 buildings in the state in a move to prevent the occurrence of building collapse. This was contained in a document obtained from the state government on activities of its Ministries, Departments, and Agencies (MDA) during the third quarter of 2017. It was disclosed in the document that the recovered N13 million belong to deceased staff, those that had stayed beyond their stipulated retirement date and those who were overpaid monthly salary. A breakdown of the recovered funds as revealed in the document showed that N7 million was recovered from the terminal entitlement of the affected staff. 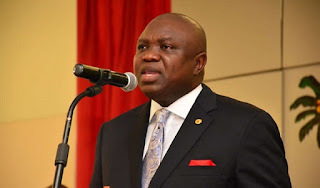 It The Lagos State Government has recovered N13 million paid into accounts of dead colleagues and overpaid salaries of staff in its ministries and parastatals. It read in part: “Some of the staff stayed beyond their dates of retirement, some have passed on but some funds were paid into their accounts. However, N6 million was recovered from overpaid salaries of various staff of Local Government and Local Council Development Areas (LCDAs) within the period under review.” Also in the document, 132 distressed buildings were identified across the state. It further disclosed that 654 illegal and non-conforming structures were sealed while 841 buildings under construction were served contravention notices within the period under review. It stated: “Also, 132 distressed buildings were discovered within the period. 40 buildings were discovered prone to collapse.”read in part: “Some of the staff stayed beyond their dates of retirement, some have passed on but some funds were paid into their accounts.